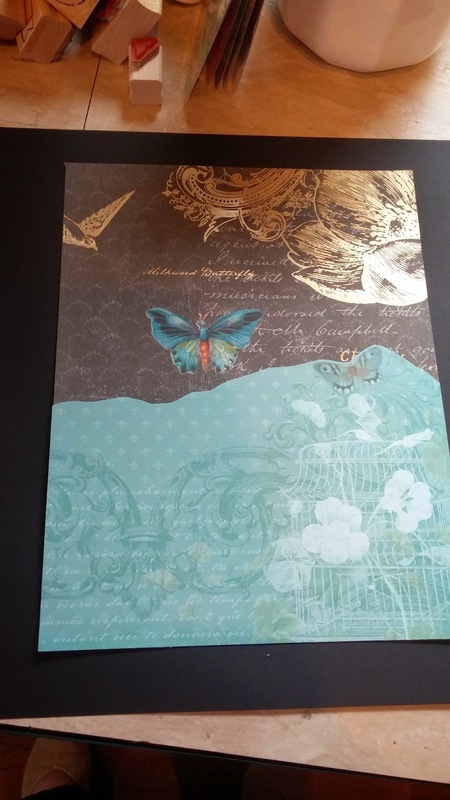 I was asked on Saturday to make a journal for a mutual friend going through a serious illness. It went out in the mail today. 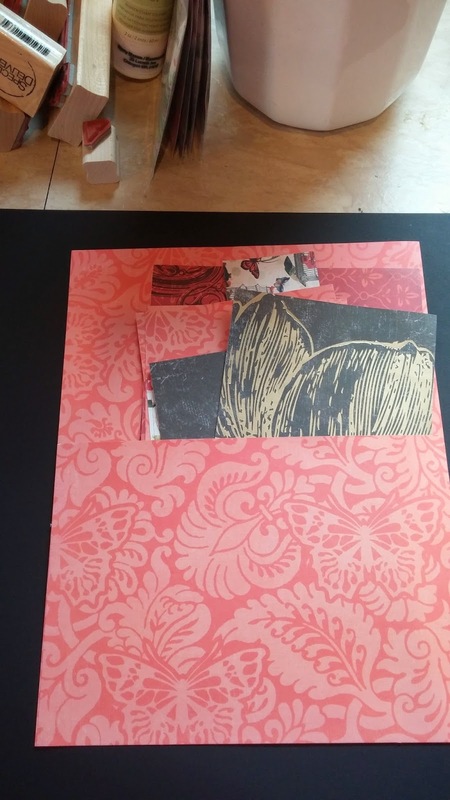 I am learning / practicing conservation book binding, it is something I hope to get really good at some day and do it on a commission basis for Maxam Made and for local printers and artisans. But for this project because of the time constraints I went with an wire binding. I made this 8x10 size and used 60# watercolor like paper so that this really would be an all purpose journal. One of the pockets I added a lot of the scrap pieces for her to incorporate. Hopefully this will be a blessing! 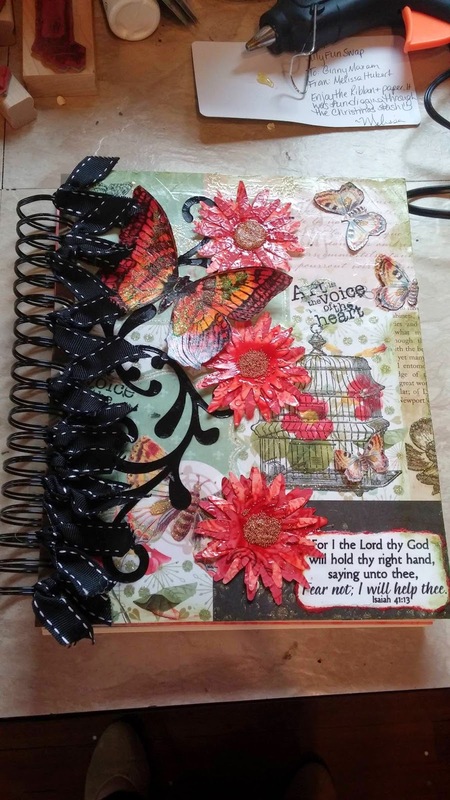 She has a tough road ahead , the journal came with love and prayer! Beautiful!!! She is so Blessed to have a special friend like you! Gorgeous! Such a wonderful gift made with love and care and sent with a prayer. How much better could it get? A very thoughtful gift filled with love and caring. I wish her well. 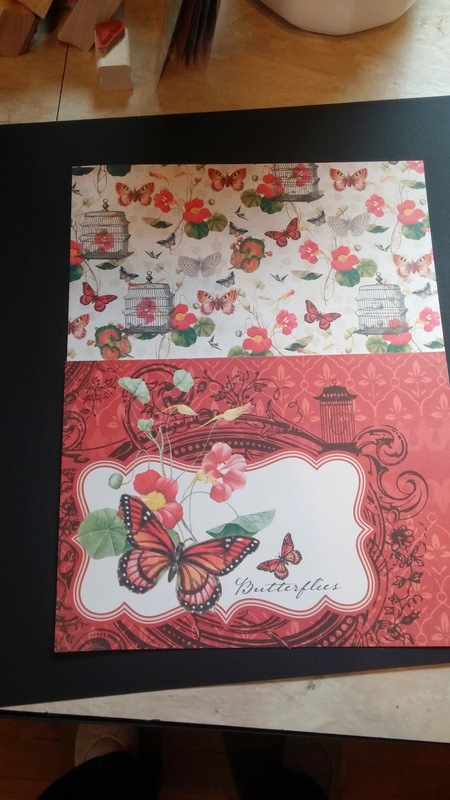 Ah, sis love the butterflies..
How wonderful, I am sure she will love it, this is one of my all time favorite paper packs. Vacationing and Freebies! Art Nouveau day! Vacationing and Freebies! Wild West day! Vacationing and Freebies! Fine Art day! vacationing and freebies! Ships Day! Vacationing and Freebies! Trees and leaves day! crafty fun while on the road! Glass wall art and freebies !! Working on new card kits in great summer colors! !